Prime Location that is well established. Features a solid building with high traffic, great visibility, and full front facing windows. 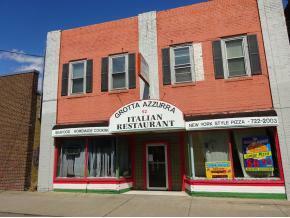 Operated for 37 years as a Resturant and Pizza business Offers 4 apartments, on the second floor. This building is wide open awaiting your alterations to satisfy your business needs, or convert everything to apartments only The building is being conveyed "As Is"
52 Main Street, Binghamton, NY 13905 commercial was sold for $69,000 by George Hoch in the Vestal/Binghamton real estate office.